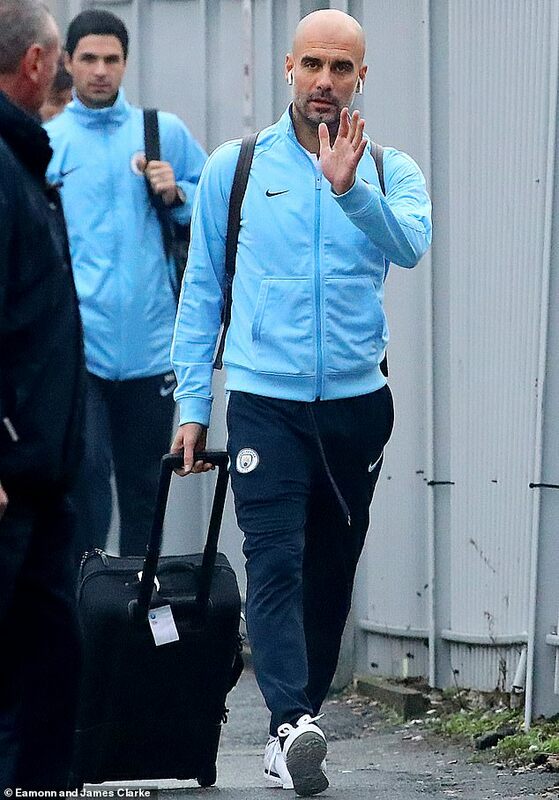 Furious commuters slammed ‘Moneybags Man City’ after manager Pep Guardiola arranged for a Virgin train to make an unscheduled stop to get his squad to a game. Passengers on the Manchester Piccadilly to London Euston service were baffled when the service pulled it at Watford shortly before noon on Tuesday. 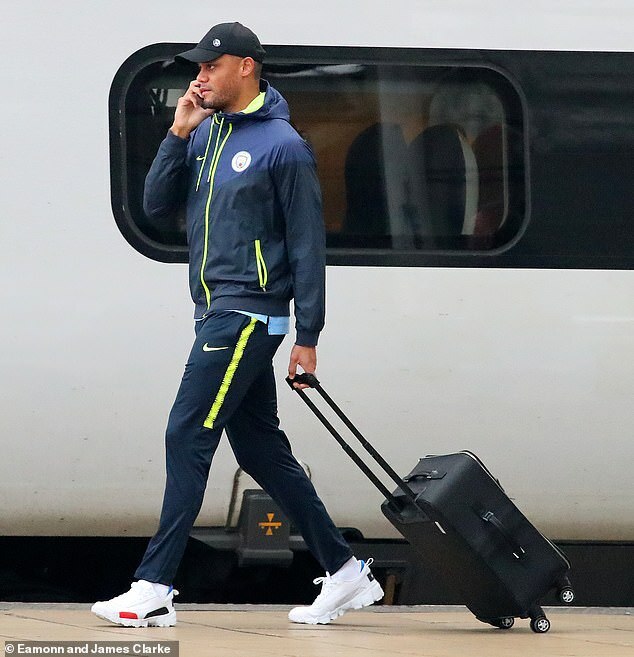 They were stunned when they looked out of the window to see manager Pep Guardiola and his multi-million pound squad alight the train and make their way along the platform. Unbeaten City, who are two points clear at the top of the Premier League, face Watford at Vicarage Road at 8pm tonight. One passenger, who filmed the team as they made their way along the platform, said: ‘I was rushing to a business meeting in London and I was thinking “why is the train stopping?”. Most passengers aiming to get to Watford from Manchester would have to get a service to Milton Keynes Central, followed by another train to their destination – taking two hours and 15 minutes. The team would have shaved time off their journey by hopping on the Euston service, which usually takes from around two hours seven minutes. The father-of-two, who does not want to be named, added: ‘I was very surprised that they stopped the train. And I was stunned to see all the City players walking along the platform in their team tracksuits. ‘Basically, it seems if you’ve got the money you can buy whatever you want. It’s one rule for them and another for us. Moneybags Manchester City can call the shots even when it comes to the rail service. The commuter, who is in his 50s, boarded the train at 9.55am. The train arrived in London at 12.07pm. His train ticket showed the train was due to stop at Stockport, Wilmslow and Crewe before arriving at London Euston. 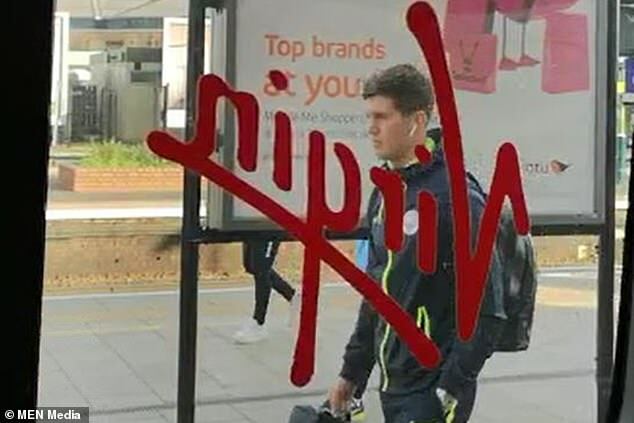 The video shows England stars Raheem Stirling and John Stones as well as some of the other international stars walking along in their club tracksuits and carrying day bags. A Virgin Trains spokesperson said: ‘This service made an extra stop at Watford and so arrived in London four minutes later than normal.